Working with Ohio Municipal Electric Association representatives, Bryan Municipal Utilities was successful in its efforts to include language in the recently adopted state budget bill that will help reduce local power supply costs. 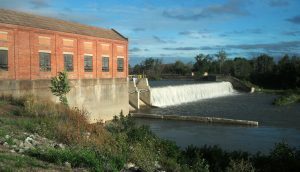 Since 1996, Bryan Municipal Utilities has owned and operated the Auglaize Hydroelectric Plant, a 4,300-kilowatt hydroelectric generating station on the Auglaize River near Defiance. This renewable energy resource has provided carbon-free, “green” energy to area residents and businesses for approximately 100 years. Renewable energy resources that meet criteria established by the Public Utilities Commission of Ohio (PUCO) are eligible to receive renewable energy certificates/credits (RECs) for each megawatt-hour (MWh) of energy production. RECs are purchased by investor-owned utilities and others interested in promoting the development and use of renewable energy resources. Ohio’s renewable energy portfolio standard made renewable energy resources constructed prior to 1998 ineligible to receive RECs. This provision effectively penalized Bryan and two other Ohio municipal electric systems that invested in small hydroelectric facilities prior to the standard’s adoption. In addition to the Auglaize Hydroelectric Plant, ineligible facilities included the City of Hamilton’s Hamilton Hydroelectric Plant (2 MW) and the City of Columbus’ O’Shaughnessy Dam Hydroelectric Plant (5 MW). Auglaize Hydroelectric Plant generating units #2 (1,100 kilowatts) and #6 (140 kW) were installed after 1998; these two units are currently registered with the PUCO as renewable energy generation facilities. However, the remaining four units—because they were installed prior to 1998—are not. This leaves approximately 3,200 kW of Auglaize Hydroelectric Plant generating capacity that is not currently eligible to receive Ohio RECs. 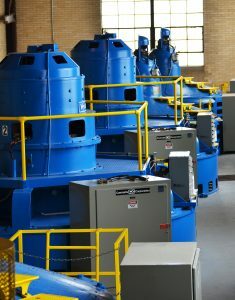 “Making the three small hydroelectric plants eligible for Ohio RECs helps recognize the early financial and environmental commitment of the communities that developed them without having an adverse impact on development of additional renewable energy facilities in the Buckeye State,” said BMU Director of Utilities Kevin Maynard. “Revenue from the sale of RECs is used to help offset local power supply costs. We plan to register the remaining Auglaize Hydroelectric Plant units with the PUCO when the legislation become effective in September,” Maynard added.